Sally is a Church of England Priest serving as a curate in Golders Green, North London. She is also privileged to be a Trustee of CCHC. 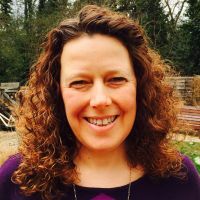 Her passion is to see whole families coming to know the love of Jesus Christ through her work both in Golders Green and at Crowhurst. Her favourite quote is ‘Small things done with great love will change the world”. Sally is married to Steve and they have two adult daughters, one son in law, and Toby the ditsy Labrador.